I wish I could say that this quote was taken from one of the more reflective moments in my interview with Londolozi Head Ranger, Kate Imrie. The reality is that Kate was talking about her navigation skills as a young Londolozi trainee back in 2004. 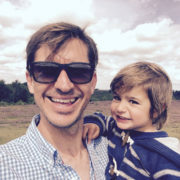 That was the year that Kate and Tom Imrie – newly engaged, restless, and tired of life in Johannesburg – closed the door on the possibility of a corporate life, and stepped boldly into the bushveld. 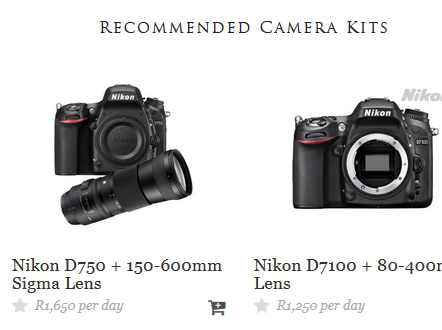 A young South African couple looking for the path less travelled (by humans). 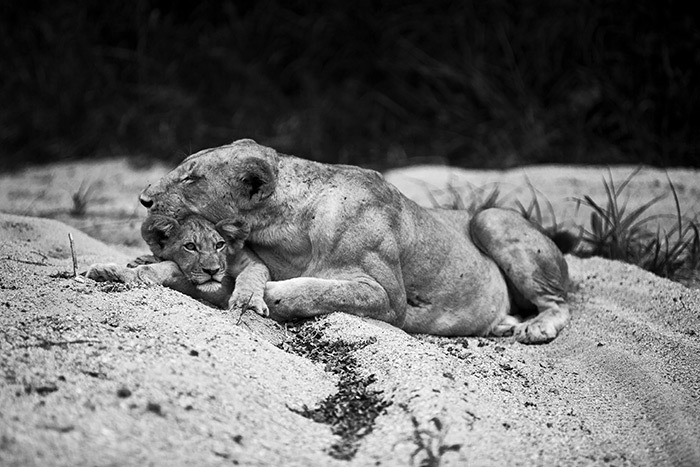 Little did they know that ten years later, they would have created two beautiful children, two successful careers and a home at Londolozi. Little did Kate know that she would become one of only a handful of female Head Rangers in southern Africa. 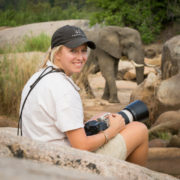 Londolozi’s Head Ranger, Kate Imrie, has been interpreting the tales of the bush for 10 years. Her answer when I asked her if she could live in the city again: “no”. And looking at this picture of Kate at home in the bush, I can see why. Ryan: What’s your favourite animal? Kate: That’s a difficult one. 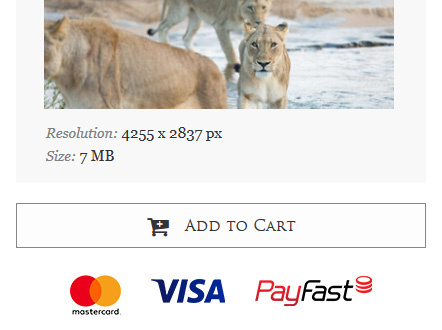 I’ll have to say elephants and lions. They’re both communal and family orientated. I am fascinated by the emotional intelligence of elephants and I love the bonds between mothers and their daughters in lion prides. Older, successful lionesses are wise, wily and adaptable. Mother and daughter: Kate with her daughter, Emma, who has grown up in the bush. Ryan: Would you say you’re an extrovert or an introvert? Kate: I’m an introvert who can flip into being an extrovert when needed. It’s about how you recharge and, living in the bush, we have enough opportunities to find peace in-between work. 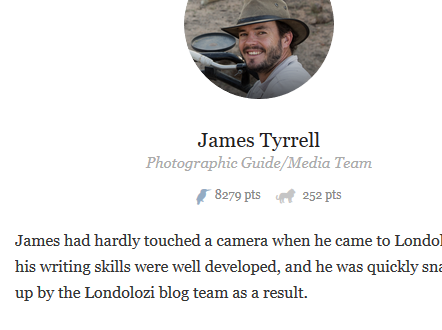 The obvious assumption is that extroverts make the best rangers. But extroverts are often off chasing the “power sightings”. An introvert might look at the smaller things, like the way the light is reflecting off the water. Nature is made up of millions of miracles, and there are “quieter” stories to be told. 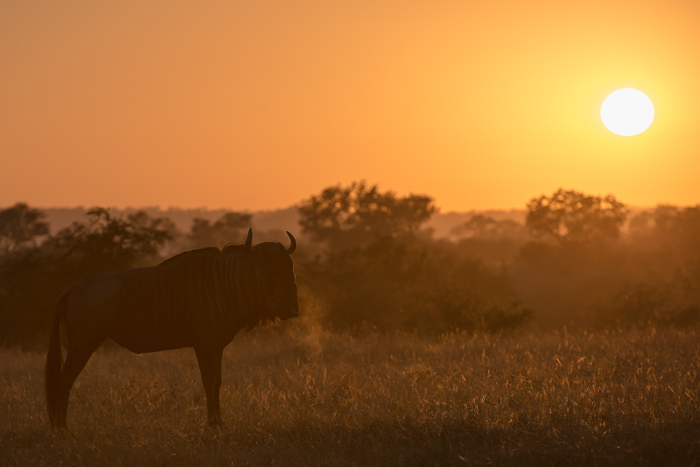 A lone wildebeest silhouetted against a rising sun. Ryan: Can you think back to your most precarious situation in the bush? 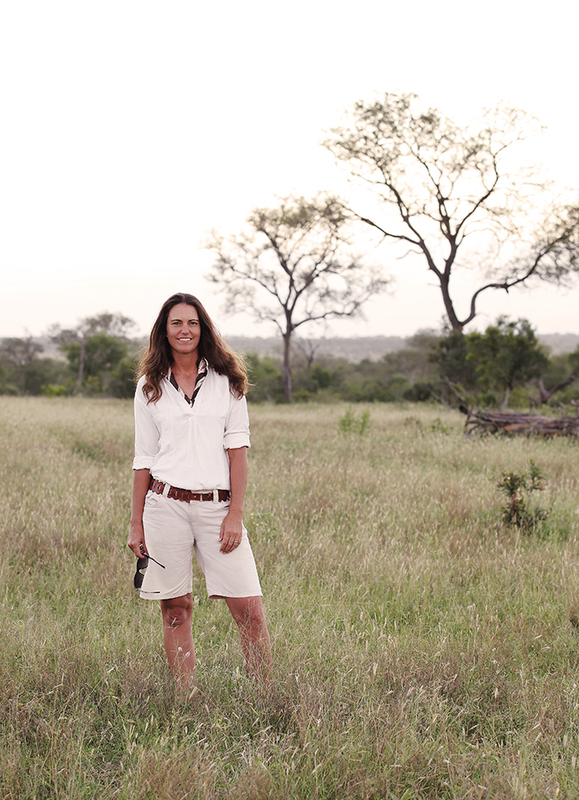 Kate: During training at Londolozi, back in 2004, we went on day-long walks alone, without a rifle. It was a way to immerse ourselves in the bush and, of course, to orientate ourselves and learn the roads. I was always lost. Always convinced no one would find me. One day I let my guard down and was walking at the same time as looking at a map. I didn’t realize there was a rhino two metres in front of me and we both lifted our heads at the same time. He was as startled to find me as I was to find him. Kate: I slowly turned around and walked briskly in the opposite direction. I didn’t look around once. I kept thinking to myself “keep walking and any minute now you are going to find out what it feels like to be flattened by a rhino.” After a slight bend in the road, I jumped behind a bush, only to look down and realize I was standing in a rhino midden – I prayed the midden wasn’t his, and I prayed he didn’t think I was challenging him. Luckily, I didn’t see him again. Ryan: So you learnt to be aware of your surroundings? 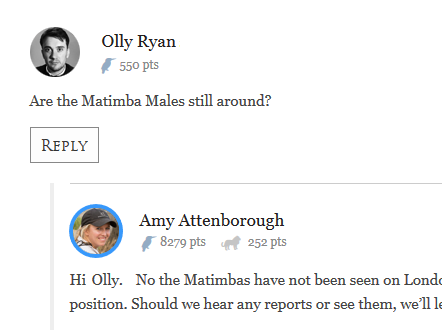 Kate: Yes, and also I learnt that animals aren’t out to get us. That’s an important lesson and one that you only learn once you immerse yourself in the bush. An “early” photo with Tom, Renias and Kate. Renias (who is now a pivotal part of the Tracker Academy) was one of Kate’s earliest mentors and Trackers. 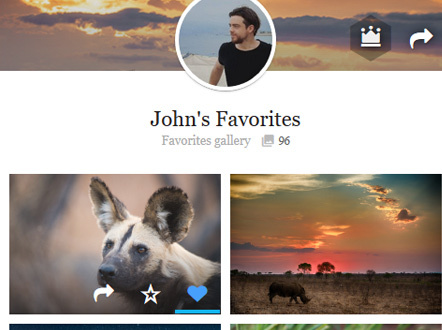 Ryan: What’s your favourite sundowner spot at Londolozi? Kate: Without a doubt, Ximpalapala koppie. Ryan: Do you think you would be able to live in a city? Ryan: What is your favourite place in South Africa? Kate: On the rocks at Southbroom beach in Kwa-Zulu Natal. So peaceful! 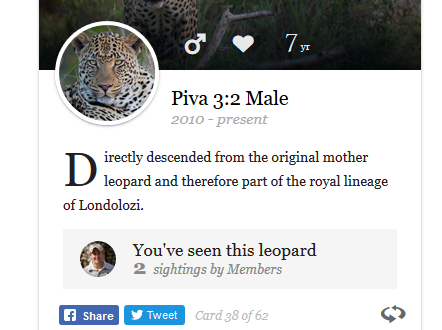 Ryan: What has been your best ever sighting at Londolozi? Kate: This is the most amazing story. On a morning drive a couple of years ago, I stopped with my guests to watch a small duiker in the grass. Not something we always do, but we’d had a quiet morning. 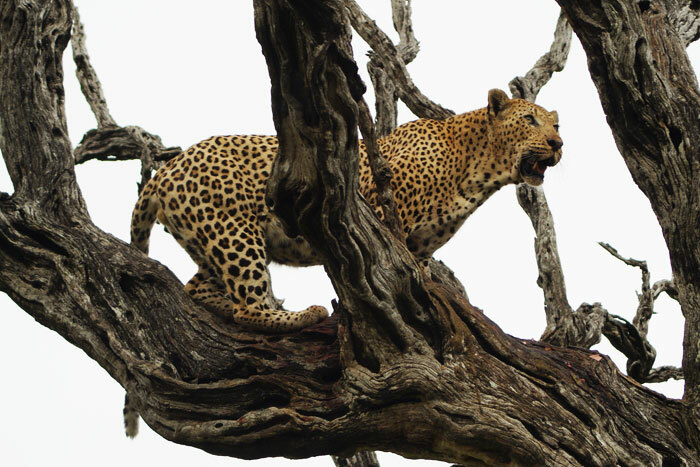 Suddenly, a female leopard exploded out of the grass, pounced and quickly killed the duiker. We all jumped I think, shaken out of any peaceful lull that we might have been in. But the kill quickly drew the attention of a hyena, and then shortly afterwards, a young male leopard appeared on the scene. The hyena ran at the female leopard and stole the kill. 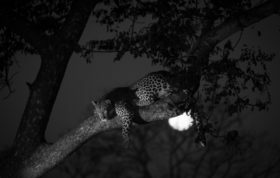 A couple of minutes later, the young male leopard stormed forward – which was a bold move for a young leopard – stole the kill from the hyena and – not wanting to make the same mistake as the female leopard – hoisted the duiker up into a tree. 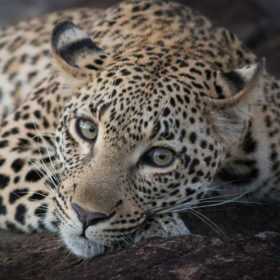 As the young male leopard was about to dig in to his prize, a third leopard appeared. 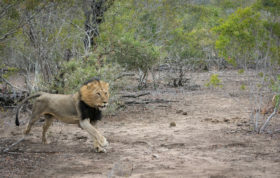 This time it was the large Camp Pan male, who chased the younger male off the kill, and enjoyed the meal. 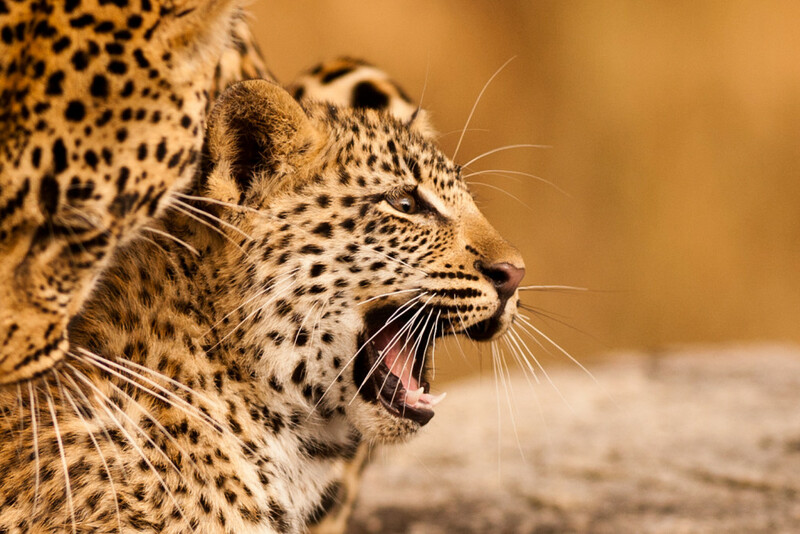 Three leopards, a hyena and a duiker. And if we hadn’t stopped to look at the duiker we wouldn’t have seen any of it. 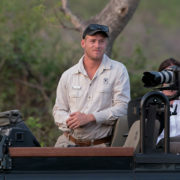 The Camp Pan male, one of Londolozi’s famous residents, and a leopard that Kate has come to know incredibly well. Ryan: That is an amazing story! Kate: When I tell it I’m reminded of two things. First, don’t overlook the smaller things. Second, you can plan something to an extent, but the end result can never be managed. Ryan: What are the challenges of being a female in a traditionally male environment? Kate: Dee Adams was the first female ranger at Londolozi and in fact she was one of the first in the industry. And Maxine Gaines was here for many years, and became a mentor to me. Maxine broke many stereotypes: she was beautiful, blonde and a very self-assured person. 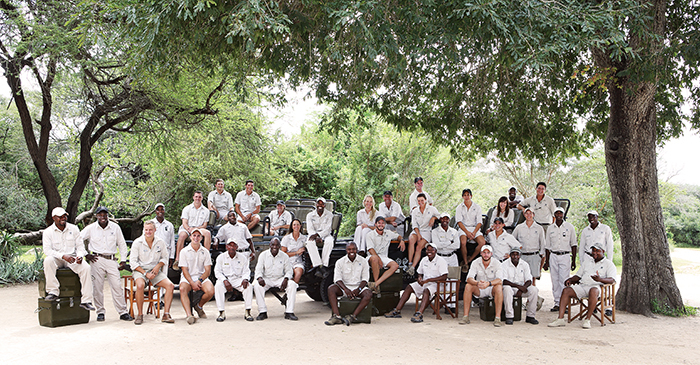 Together with the Varty family – who have always been progressive – these influences (and the culture at Londolozi) have made it very easy for me to work as a ranger. But yes, women have to work that bit harder physically. From handling rifles to changing tyres. And as a women – if you drop the clutch – for example, you’re judged and ribbed just a little bit more. 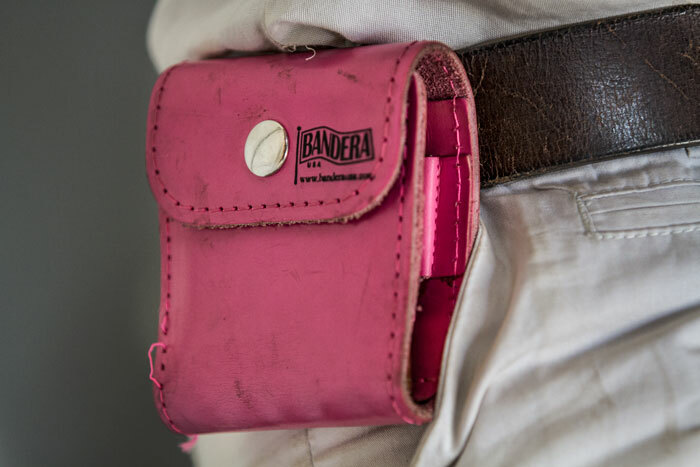 Ryan: Is the rumour of the pink leatherman pouch true? Kate: Yes. Essentially, the last ranger who has to get towed out of a tricky situation has to wear the pink pouch? Ryan: I see, anything you want to confess? The Pouch in all it’s glory. Ryan: Are there so few female rangers because of the physical challenges? Kate: There are the physical challenges. And the family issues. 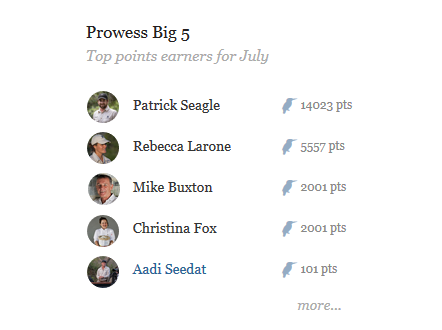 But I would say one of the biggies is guest expectation. Across the industry, guests have a preference for male rangers – that’s just the way it is. Ryan: What advice would you give to young women who are pursuing this career? Kate: Take the risk. The industry allows young people to dip in for two years to see if they like it. If, after a couple of years it’s not for you, or you’ve had enough, then move on. Also, living in the bush is isolated. So choose a place that has a strong, positive culture. I am lucky enough to be able to spend time with my family in a wonderful environment. 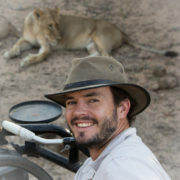 But the Londolozi community is one-of-a-kind – and that is important when you spend long cycles in remote places. 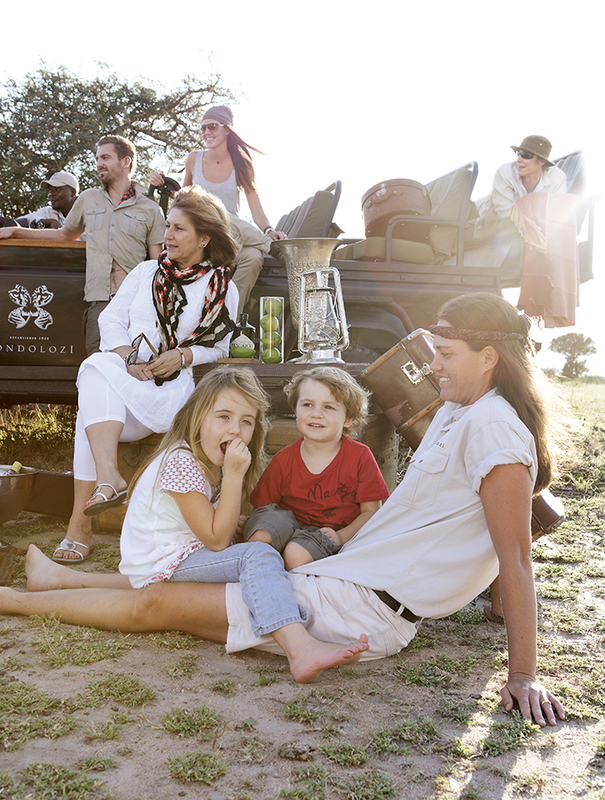 Kate with children, Emma and Thomas, and her extended Londolozi family. Ryan: What three qualities do you think make a good ranger? Kate: First, a sense of fun is so important. Second, as a ranger, one of the most important skills is listening to what your guests want, and not what you think might be better for them. Last, good rangers want to be in the moment – they can let go of expectations and “feel” the experience. If the ranger can do that, then chances are that feeling will be passed across to the guests. Ryan: When you are training rangers, what is the most important part of the training? Kate: I try to teach our trainees to be innovative, free and out-of-the-box. 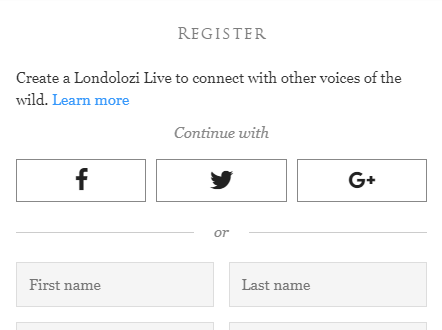 Londolozi isn’t a standard “big 5” experience. 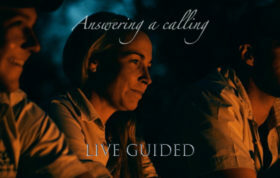 It is something special, because our guides are passionate, present in the experience and they have fun – they live in the moment and are given a long rein to be able to do so. I also try to teach our trainees to be involved. We’re not just rangers, we are people who are part of a community that is creating magic in one of the world’s most beautiful places. We are privileged to experience it and to share it. 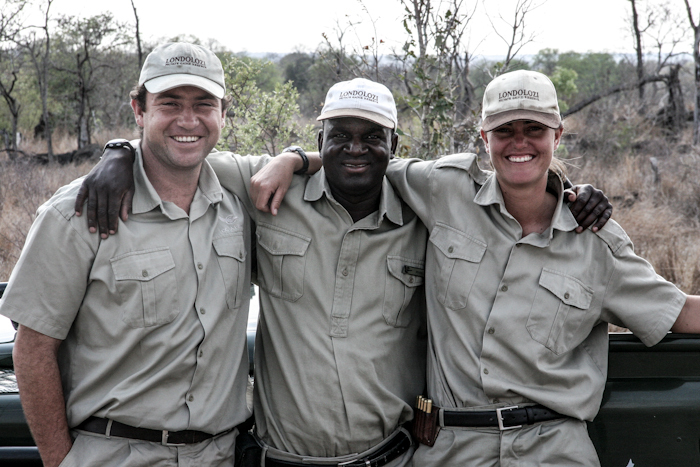 Kate with her team of Londolozi Trackers and Rangers. Ryan: Final question. Technically your husband works for you. How’s that playing out? Kate: There have been some “incidents”, and a disciplinary or two. Ryan: Ouch! We’ll leave it at that. Thanks Kate. Awesome interview with Kate. She is a such a lovely person. interview. 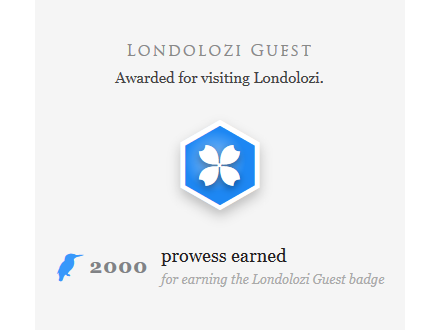 I’m really looking forward to visit Londolozi! I guess next year in October it will work. Hope, we will meet you Kate. Ralf & Melinda from Germany. We had a great morning last Sept. when we went on a bush walk with Kate and our Ranger Mark. Kate and Mark stopped to point out many interesting things along the way that we might otherwise have overlooked. It was a great experience that we will never forget. Kate you are awesome and I’m so glad you finally got rid of the pink pouch, even though it was fun watching you get it. I still want to see the termites fly away together someday. Well have to come back to see it with you! An excellent interview, well done Ryan and thank you Kate for being such an inspiration to so many.